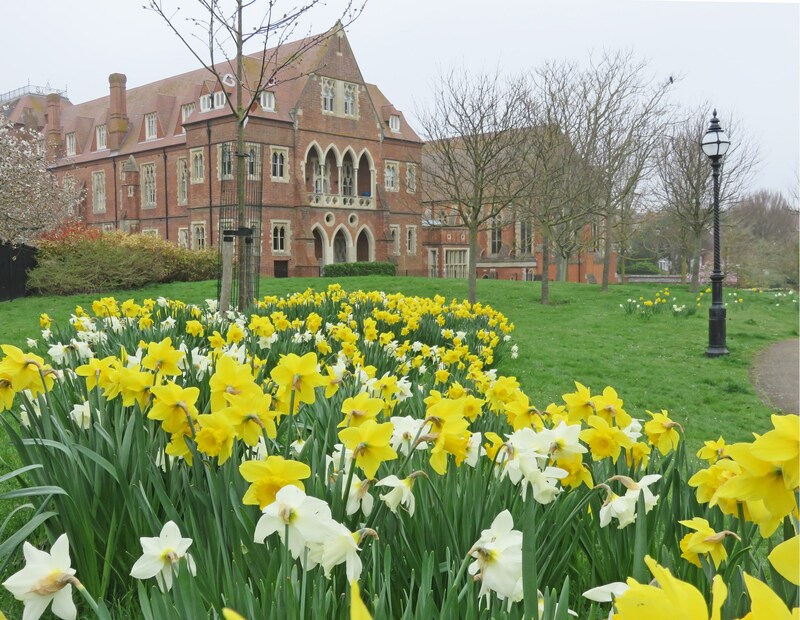 Our three parks and gardens are in the Meads area of Eastbourne and in 2012 each became accredited with the QEII Field in Trust status which protects them against development in perpetuity. Nestling below the Downs at the west end of Eastbourne seafront and a mile and a half south-west of the pier, The Helen Garden (BN20 7XL) overlooks the sea where King Edward’s Parade meets Duke’s Drive. Over the years, the land has passed through the hands of several private owners including The Duke of Devonshire, the Grand Hotel and finally Mrs. Helen Reid Stewart Hornby Lewis after whom the garden is named. Shortly after her death in 1930 the land was conveyed to the council, landscaped and opened to the public in 1935. 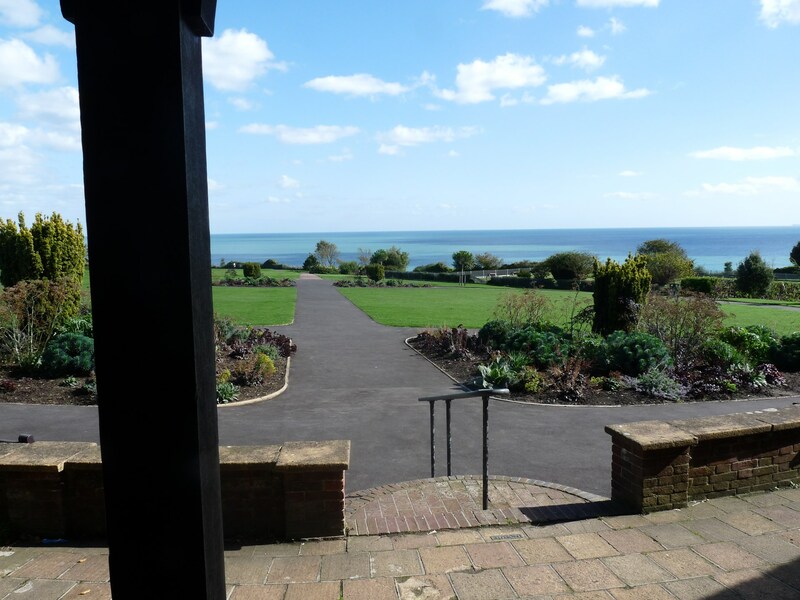 Broad lawns sloping gently seawards give magnificent views over the sea and towards Eastbourne pier. There is an excellent show of spring daffodils and plenty of seating. There is a children’s playground, a Pétanque court and an 18 hole putting course. In the summer months equipment can be hired from the kiosk which also serves hot and cold drinks, ice cream and light refreshments. The Helen Garden is also home to St John’s Bowling Club which often organise taster sessions and welcome new members. Visit their website: www.stjohnsbowls.co.uk for more information. 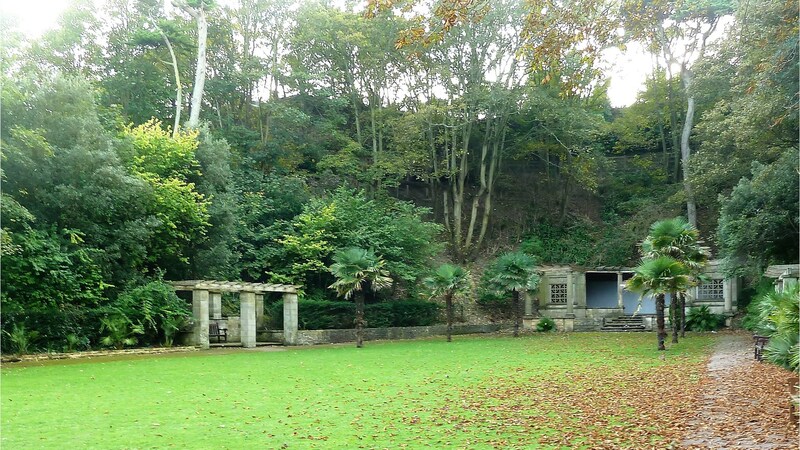 The Italian Gardens (BN20 7XB) are tucked away in a sheltered location below The Helen Garden. The garden as created in the early twentieth century when an old chalk quarry was landscaped. In 1922 they were redesigned in the Italianate style at a cost of £400 by unemployed men returning from the First World War and the structures they built remain today. They include two pergolas and a larger sheltered platform with a wonderful view of the sea. Another building once housed the terminal equipment controlling the transmissions of the Holywell-Dieppe underwater telegraph cable. Although it has fallen into a state of neglect (something that the Friends are working hard to reverse) the garden is a delightful sun trap with seating around a central lawn area below banks of mature trees. Every summer the gardens are brought to life by the Eastbourne Operatic & Dramatic Society (EODS) with their hugely popular open air performances of one of Shakespeare’s plays. All Saints Park (BN20 7GD) is located about a mile and a half south-west of Eastbourne pier between King Edward’s Parade and Darley Road. Formerly part of the grounds surrounding All Saints Convalescent Hospital built between 1867 and 1869, the buildings were redeveloped as luxury flats in 2009 with some land being set aside to create a new public park. Lawns are crossed by a network of surfaced paths with several adjacent seats. Numerous trees provide shelter and shade and there are several beds of ornamental perennials. The stunning neogothic buildings, including the beautiful All Saints Chapel provide a magnificent backdrop and give the park a true sense of peace and tranquillity.